At Integrated Physical Medicine, you will receive outstanding chiropractic care. With our terrific staff of massage therapists, a complete physiotherapy department, exercise physiologist, craniosacral therapists, and acupuncturists all working as a team, you can count on us to formulate the best care plan for your specific situation. We do absolutely everything in our power to help you reach your health goals. This includes treating every patient holistically and thoroughly. Our chiropractors, Dr. Moore and Dr. Mitz are leading practitioners in the Evansville area for treating sports injuries, auto accident injuries, pregnancy pains and more with chiropractic care. Our treatments focus on pinpointing the source of your pain and eliminating the problem with natural and safe approaches; there is no dependence on drugs at our chiropractic clinic. If there is a need for surgery or a different medical procedure, Dr. Mitz has an intricate network of premier orthopedic and neurosurgical professionals in the region, along with pain management specialists, neurologists, and internal medicine specialists he can refer you to. Integrated Physical Medicine is here to help you; your pain management and injuries are extremely important to us. If chiropractic care sounds like something you need, we encourage you to schedule a consultation today to talk about your options. 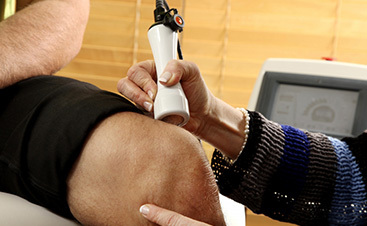 Our experienced doctors are skilled at “joint manipulation,” also commonly called “chiropractic adjustments.” The purpose of manipulation is to restore joint mobility by manually applying a controlled force into joints that have become hypomobile – or restricted in their movement – as a result of a tissue injury from trauma or from a disease process like arthritis. In either case, injured tissues undergo physical and chemical changes that can cause inflammation, pain, and reduced function for the sufferer. Manipulation, or adjustment of the affected joint and tissues, restores mobility thereby alleviating pain and muscle tightness, and allowing tissues to heal. While the spine is most commonly associated with manipulation and chiropractic, Dr. Mitz is skilled at adjusting all joints including those in the feet and hands, the wrist, knee, hips, and shoulders. All of our patients are treated holistically and comprehensively. 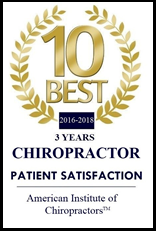 At our office, you will find Evansville’s best chiropractic care, as well as a staff of massage therapists, a full physical therapy department including an exercise physiologist, craniosacral therapists, and an acupuncturist. No stone is left unturned to help you achieve your health goals: rapid pain relief or a lifetime of health, vitality, and wellness. Chiropractic care is ideal for patients who wish to treat the cause of their problem in a safe and natural way and not just mask their symptoms with potentially harmful or addictive medications. Dr. Mitz does not rely on the use of drugs or surgery to treat his patients; rather, the treatment process focuses on the identification and elimination of the source of the issue. If, after carefully arriving at a diagnosis Dr. Mitz feels your care would be better handled by another professional specialty, he has working relationships with the premier orthopedic and neurosurgical programs in the region as well as specialists in pain management, neurology, and internal medicine. Schedule an appointment with an experienced chiropractor right here in Evansville at (812) 401-2140!